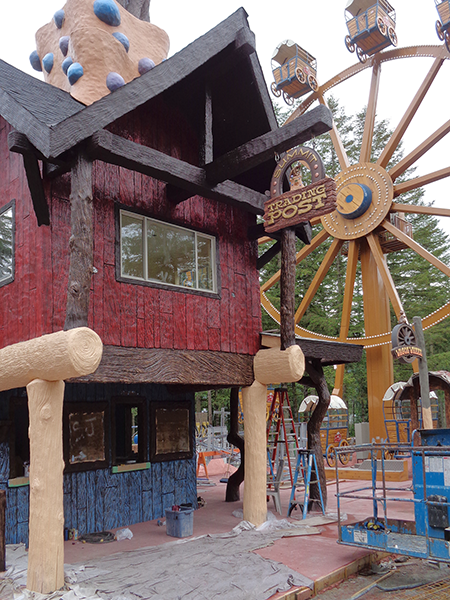 As various areas in the adventure park are completed it is time to begin the installation of the many signs. Today was that day for three of the many signs we are working on in the shop. 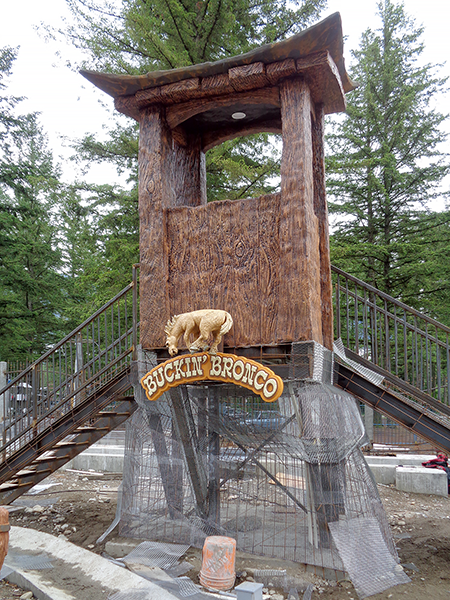 In order to complete the timber and rock work under the Buckin’ Bronco booth we needed to install the sign today. The crew will attach the lath around it and then we will do the sculpted concrete work. It looks pretty cool installed! 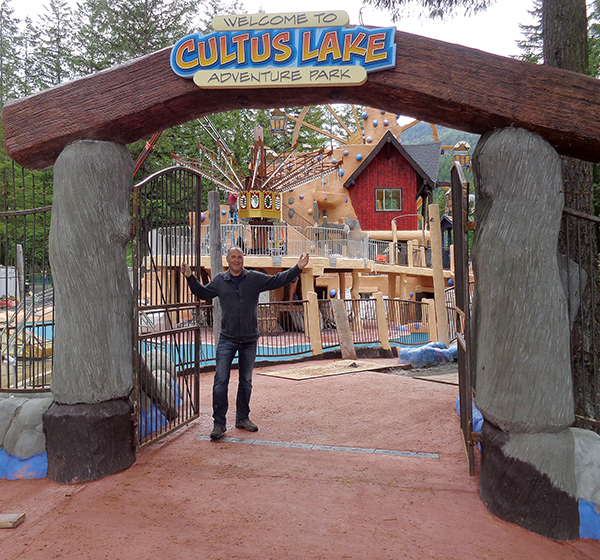 Chris, the owner of the park was delighted with the install of the entrance sign. The Trading Post also got it’s sign today. In the next days we will install more of the signs as we finish off more areas of the park. They are the icing on a very fancy cake!